I have been in the real estate sales and appraisal business since 2011. I specialize in sales of agricultural properties including rural acreages. I've completed appraisals on farmland and residential properties in 20+ counties in southeast Nebraska and northeast Kansas. I'm also a partner in my family's farming operation near Daykin, NE and Narka, KS and live in Fairbury. 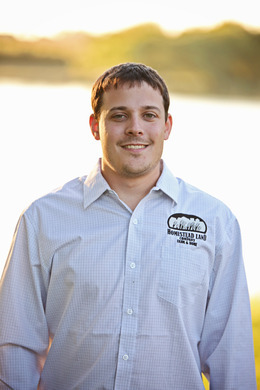 Combining my sales/appraisal experience and involvement in farming, I can provide you with extensive knowledge in marketing or placing a value on your farmland. If you are thinking about buying, selling, or in need of an appraisal of your farmland or residential property, call me at 402-587-0697.